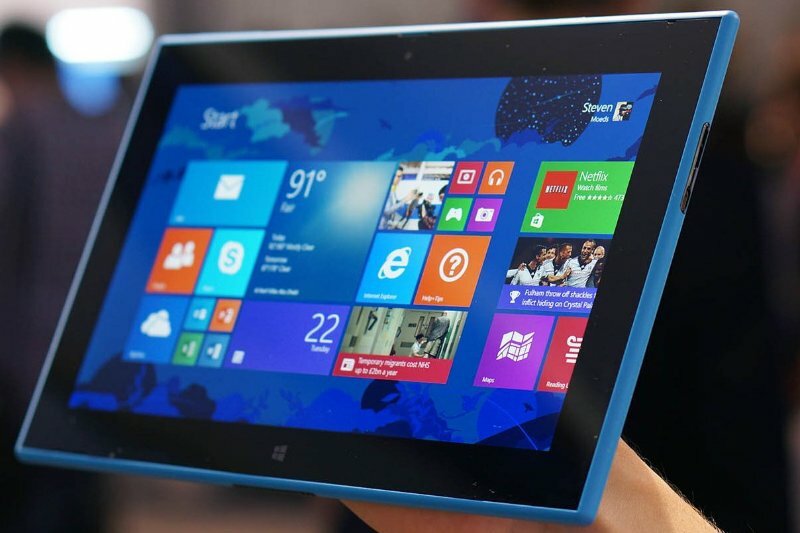 Microsoft-owned Nokia has announced that it's Lumia 2520 will be coming to Australia tomorrow. Telstra will be exclusively selling the tablet from its online store, before rolling the device out to its stores from May 13. As for the price tag, the tablet is pretty pricey to say the least. While it costs $499 in the US, you'll have to shell out a whopping $840 in Australia. An accompanying keyboard will cost you an additional $240, compared to $149 in the U.S.
Telstra is releasing both business and personal payment plans for the tablet. While individual users can purchase the Lumia 2520 on a 24-month, $35 Telstra Tablet Plan (plus a $25-per-month device repayment), business customers can purchase the tablet on a $35 Telstra Mobile Broadband Business Member Plan (plus a $25-per-month device repayment). Both the plans include 4GB of data charged at 85c per MB. You can also purchase the keyboard with a $10-per-month Accessory Payment option over 24 months. Standing as an alternative to Apple's iPad Air and Microsoft's own Surface 2, the 4G-enabled tablet comes with a quad-core Qualcomm Snapdragon 800 processor clocked at 2.2GHz, a 6.7-megapixel rear camera, 1.2-megapixel front-facing camera, 1080p video recording, an 8000mAh battery, 2GB of RAM, and 32GB of internal memory that is expandable to 64GB via MicroSD. The device runs on Windows RT 8.1, and will come preloaded with Office and Nokia’s own applications such as Nokia Storyteller, Video Director, HERE maps, and more.